Fall is finally here. Even though the first day of fall was like a month ago, it hasn't really felt like leather jacket and beanie weather. But the weather is finally starting to cool down, which means I can finally post this lookbook! 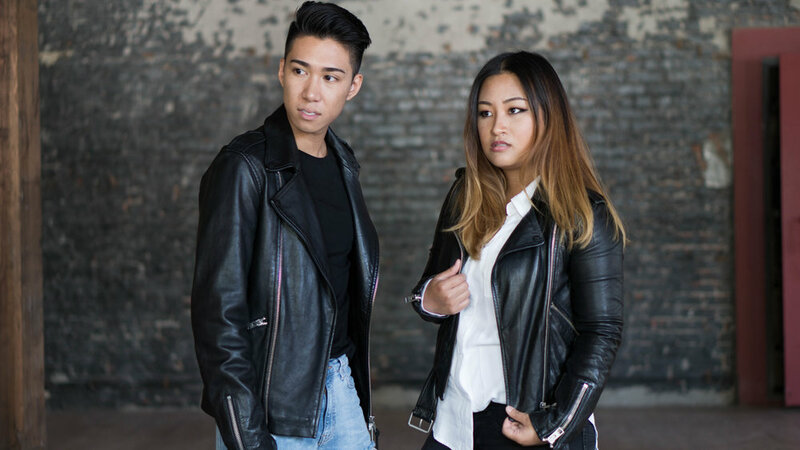 A couple months ago, @misscam.co sold me on the Kahawa Leather Biker Jacket from AllSaints. And even though an AllSaints jacket is quite the investment, it was 100% worth it. I had been on the hunt for a good leather jacket that was durable yet comfortable for a long time, and I have finally found it! The Kahawa Leather Biker Jacket feels sturdy since it's pretty heavy and solid, but the leather itself is so buttery smooth. And after wearing it a few times, I can tell that the leather is starting to break in and hug my body. What is your go-to piece this fall?